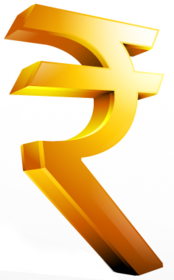 • The Indian rupee was on a roar till mid of September and tested 63.57 levels gaining over six per cent since the start of 2017, mainly helped by a sharp fall in the US dollar index. • Forex space has witnessed increased volatility so far this year due to central banks action, Brexit talks, Trump’s administration issues, the US Fed actions as well as the geo political worries. • The US dollar index has witnessed an unchallenged downtrend and lost against the other major currencies almost every single month in 2017. It has fallen around nine per cent since the start of 2017. • Dollar index has seen a fall for three straight quarters and it is near to its key support levels, we expect some recovery, even though it may be sluggish towards the end of the year. This will support the USDINR pair and lead to some upside in the same. • The strategy will be to buy on dips around the 64.20 mark (Futures) keeping stops placed below 63.50 for targets of 66.00-66.40. We here by roll out a special report on the Indian Rupee this Diwali, covering various factors that will impact its movement going forward. Wishing you all a Happy Diwali ! !